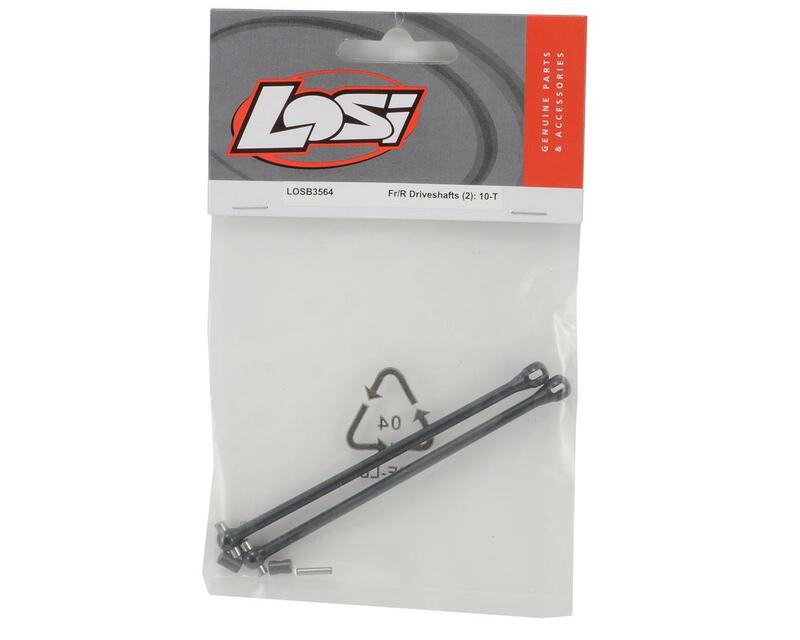 This is a set of replacement Losi Front or Rear CV Driveshafts, with included Couplers, and are intended for use with the Losi Ten-T truck. These CVD driveshafts transfer power from the front or rear differential to the wheels. 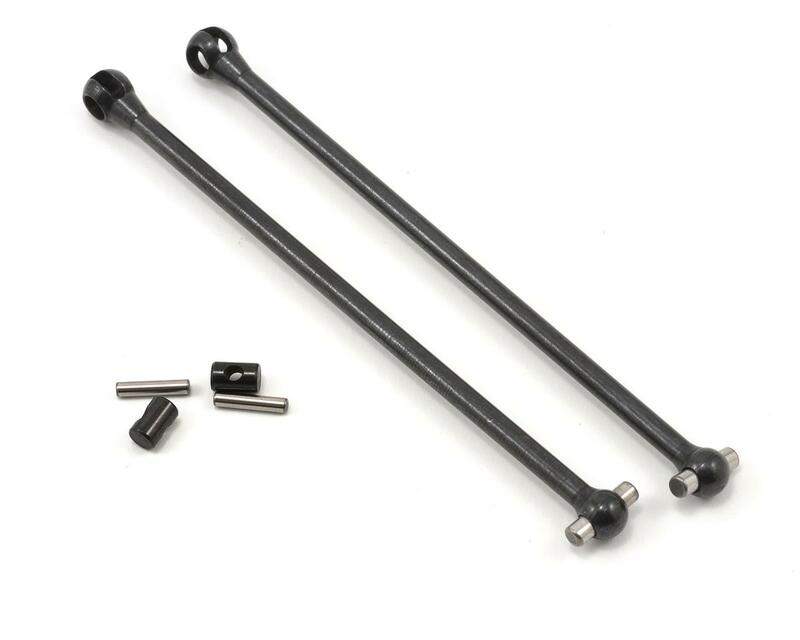 CVD driveshafts are different from universal driveshafts in that one driveshaft is made up of three individual components; a driveshaft bone, a axle, and a coupler. The driveshaft bone is attached to the axle with the use of the coupler, and all components can be replaced making them completely re-buildable. Note: This set does not include axles.